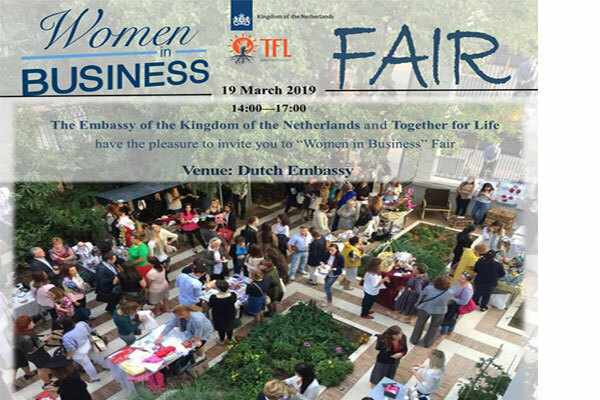 The Embassy of the Kingdom of the Netherlands in Albania in partnership with Together for Life Organization have the honor to invite you to join us in “Women in Business” Fair where the businesswomen will present their products. This successful fair with the motto "Women can" comes for the second consecutive year, turning this event into tradition. Priority was given to the businesses founded by the women in need, such as the rural area women, Roma and Egyptian women, returnees women etc. Participants in this event will be: representatives of the businesses founded by women, representatives of NGOs working with women's economic empowerment, diplomatic corps in Tirana, representatives of the Ministry of Enterprise, Ministry of Economy, Ministry of Health and Social Protection, as well as Media Representatives. Entrance is free for all, but please let us know that you are coming. Kindly, confirm your participation in the e-mail address: info@togetherforlife.org.al or through a private Facebook message. Hope to see you there! Venue: Hall of Kingdom of the Netherlands Embassy in Tirana.